The study, titled “Orbital Misalignment of the Neptune-mass Exoplanet GJ 436b With the Spin of its Cool Star“, recently appeared in the scientific journal Nature. 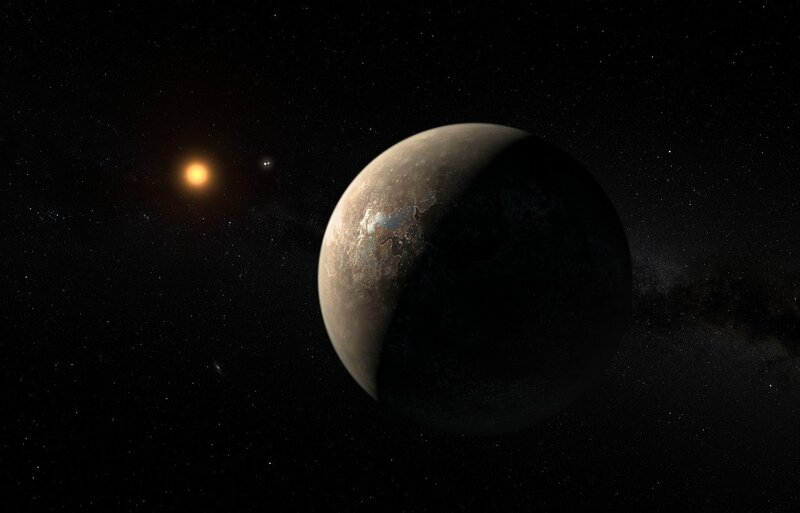 The study was led by Vincent Bourrier of the Geneva University Observatory, and included members from the University of Grenoble Alpes, Tennessee State University, and the Center for Space and Habitability at the University of Bern. GJ436 has already been the source of much scientific interest, thanks in part to the discovery that its only confirmed exoplanet has a gaseous envelop similar a comet. This exoplanet, known as GJ436b, was first observed in 2004 using radial velocity measurements taken by the Keck Observatory. In 2007, GJ436b became the first Neptune-sized planet known to be orbiting very closely to its star (aka. a “Hot Neptune”). And in 2015, GJ436 b made headlines again when scientists reported that its atmosphere was evaporating, resulting in a giant cloud around the planet and a long, trailing tale. This cloud was found to be the result of hydrogen in the planet’s atmosphere evaporating, thanks to the extreme radiation coming from its star. This never-before-seen phenomena essentially means that GJ436 b looks like a comet. Another interesting fact about this planet is its orbital inclination, which astronomers have puzzled over for the past 10 years. Unlike the planets of the Solar System – whose orbits are largely circular – GJ436b follows a very eccentric, elliptical path. And as the research team indicated in their study, the planet also doesn’t orbit along the star’s equatorial plane, but passes almost above the its poles. This was an especially interesting find for many reasons. On the one hand, it is the first instance where a planet was found to have a polar orbit. 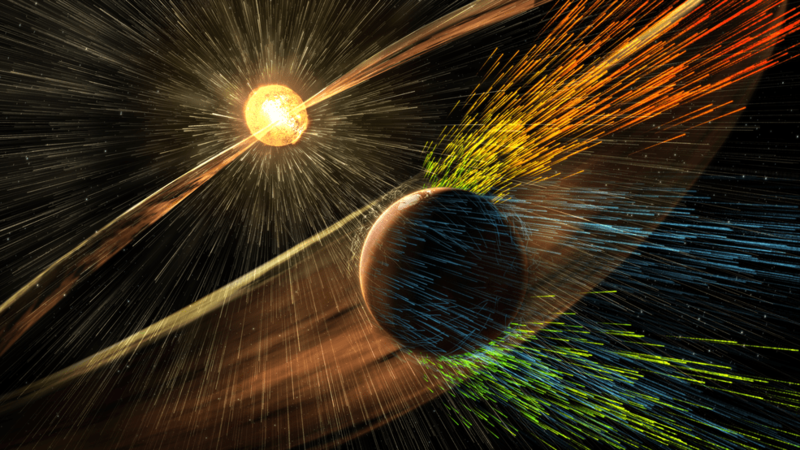 On the other, studying how planets orbit around a star is a great way to learn more about how that system formed and evolved. For instance, if a planet has been disturbed by the passage of a nearby star, or is being influenced by the presence of other massive planets, that will be apparent from its orbit. Hervé Beust, an astronomer from the University of Grenobles Alpes, was responsible for doing the orbital calculations on GJ436b. As he indicated, the likeliest explanation for GJ436b’s orbit is the existence of a more massive and more distant planet in the system. While this planet is not currently known, this could be the first indication that GJ436 is a multi-planet system. Another interesting takeaway from this study was the prediction that the planet has not always orbited so closely to its star. Based on their calculations, the team hypothesizes that the GJ436b may have migrated over time to become a “evaporating planet” that it is today. Here too, the existence of an as-yet-undetected companion is believed to be the most likely cause. As with all exoplanet studies, these findings have implications for our understanding of the Solar System as well. Looking ahead, the team hopes to conduct further studies of this system in the hopes of determining if there is an elusive planetary companion to be found. These surveys will likely benefit from the deployment of next-generation missions, particularly the James Webb Space Telescope (JWST). As Bourier indicated, “Our next goal is to identify the mysterious planet that has upset this planetary system.” Locating it will be yet another indirect way in which astronomers discover exoplanets – determining the presence of other planets based on orbital inclination of already discovered ones. The orbital inclination method, perhaps?